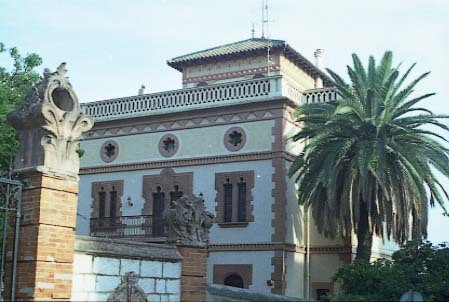 That house is an artwork of the architect Josep Pujol i Brull, built in 1906. 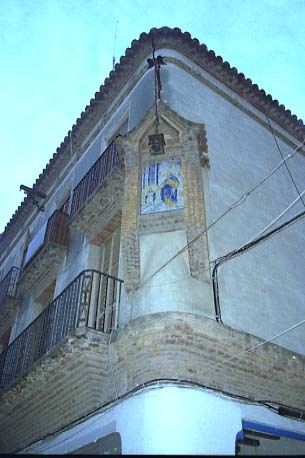 It is a typical village rich house with an exuberant Art Nouveau decoration on the façade, specially around door and windows. The walls are decorated with a beautiful design based on flowers. The house is very well maintained in and outside. In the interior, the furniture and other elements are the originals. It is only possible to visit the exterior. Built in a corner in the year 1908 following a project of the architect Eduard Mercader i Sacanella. 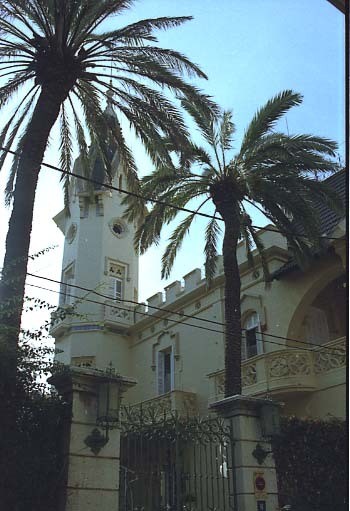 That house is a building surrounded by a garden, with a tower emerging from the body of building and containing the staircase on the façade of Sant Isidre street. Some interesting elements of that façade are the door, the terrace and the windows with a neo Romanesque design. On Francesc Gumà street the most interesting architectural element is the balustrade decorated with vegetal following a gothic inspiration. House Built in 1881 by unknown architect. The construction date is visible on the gate. 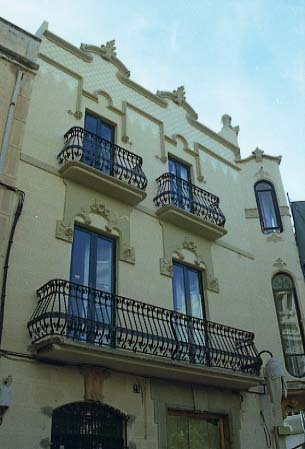 Typical Modernista (Art Nouveau) house with two façades in a corner and a very rich decoration around openings and balconies balustrades in forged iron. That rich decoration, had been unfortunately affected by the sale, some years ago, of magnificent window glasses on main tribune on corner. The unity of decoration and façade coronation link harmoniously the three façades. House Built in 1911 by unknown architect. 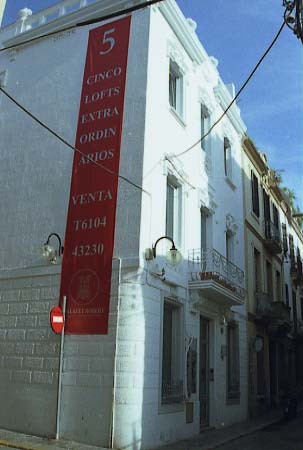 Three façades building, on Sant Bartomeu and Sant Gaudenci street and on the rear garden. Main façade has three openings by each of three floors with a balcony on center of first floor with an iron forged balustrade. Each window on each side of balcony has a stone balustrade decorated with floral elements, the same that the central window of second floor. The house is crowned by a cornice giving an unitary aspect to three façades. The façade on garden is enlivened by a gallery of semicircular arches on first floor. 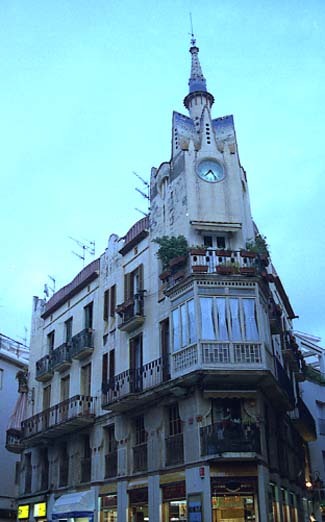 House projected by the architect Gaietà Buigues i Monravà in 1900 in a French gothic language, a variant of Catalan Art Nouveau. Big family house with a differential feature out of standards in Sitges: the beautiful tower emerging above the other buildings into the old centre. Each façade has a different shape, the roof with embattlements over the garden, the triangular frontispiece, the tribune on the street side and the balcony in the angle between both façades. Some interesting decorative elements frequently used in French gothic are the gargoyles, the ogee arches and quatrefoils adorned balustrades. The ceramic and forged iron are used in various parts of building. The house is a present an Hotel and it is possible to visit the interior. House Built in 1911 and extended in 1928 by Josep Maria Martino. The most interesting elements are the balcony with balustrade in cast forged iron and the top is adorned with a balustrade with a typical Art Nouveau shapes. Lateral façade is over a small garden and includes the main door. Small building with only a ground floor, projected by the architect Juli Batllevell and Built in 1908. Façade decorated with stucco crowned by a stone balustrade with a round pediment including the name of the house. 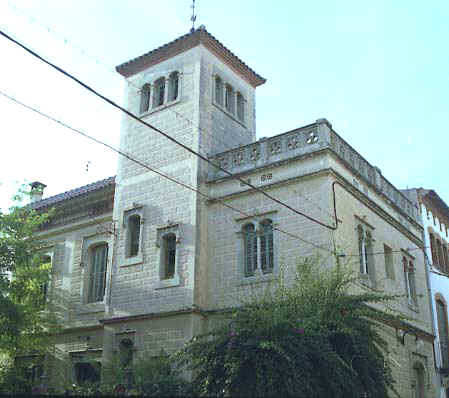 Detached family house Built under an initial project of the architect J. L. Calvo in 1906 and later reformed by Josep Domènech i Estapà in 1907 who changed the openings shape and the decoration. The originality of that house are that arrangements and the big chapel annexed. The chapel break the façade uniformity and give it, with it’s Romanesque style, a non usual look. The windows designed by Domènech are different in the ground floor and in the first floor, but with a common individual stepped lintels reproduced again in the roof balustrade. The house is at present time occupied by an educational foundation. Only possible to visit the exterior. Building projected by the architect Ignasi Mas i Morell in 1913 and finished in1915. The house is a typical urban building with a ground floor, a mezzanine and two additional floors. Nevertheless, the house is full of original Art Nouveau shapes as the openings, windows and doors who consist in depressed convex arches. 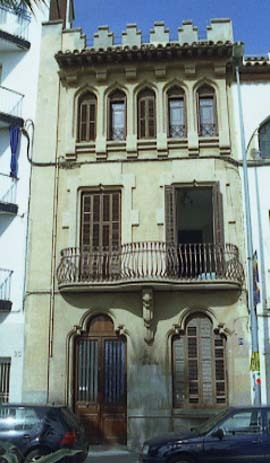 The openings in the first and second floors have balconies made in forged iron, as it is common in Catalan Art Nouveau. The most characteristic element of building is the “clock tower” over the façade angle between Plaça Cap de la Vila and Carrer Major. The tower adorned with a clock, is covered by five narrow, pitched roofs covered with “trencadís” (surfaces covered with colored irregular ceramic pieces) who also cover the conic dome crowning the tower. Building visible only from outside. House in a corner designed by the architect Bernardí Martorell i Puig and Built in 1929. The most characteristic element is the niche on façades link. 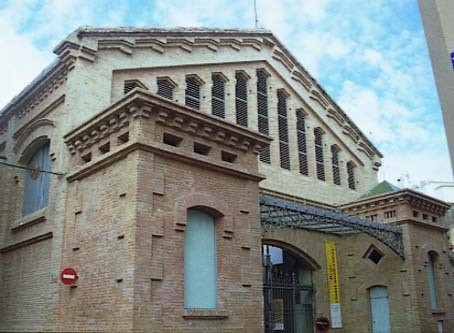 The openings are typical of late Catalan Modernism (Art Nouveau). A long brick cornice divide ground and first floor. 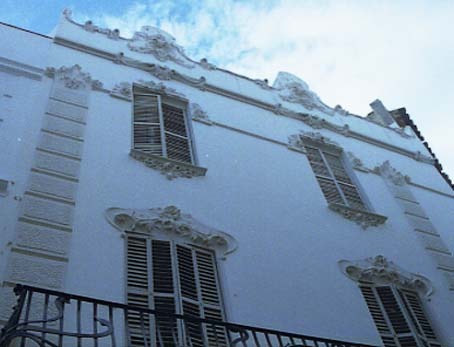 Façade on carrer Major has four openings on each of first and second floor with two long balconies on first and individual balconies on second with balustrades in cast forged iron. 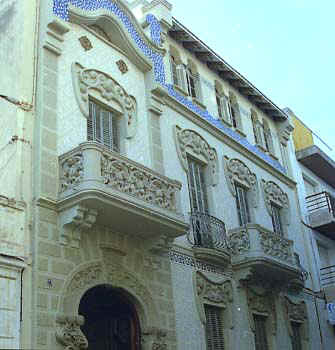 House attributed to the architect Gaietà Miret i Raventós Built in 1907. 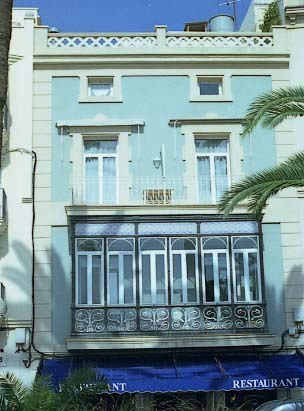 This a typical Art Nouveau building with a rich floral decoration around the openings. The long balcony on first floor is sustained by decorated corbels and a very interesting balustrade in cast forged iron. On top the building has a beautiful coronation following the Art Nouveau standards. Market Built by the architect Gaietà Buigues i Monravà between 1889 and 1890. Construction in brick for the walls and in iron for beams and the front canopy over the façade porch. The interior is illuminated by the eleven narrow façade windows. Over that windows a decorated gable-end protect the façade against rain. The Sitges coat of arms is present over the grille closing the main gate. Lateral façades have also openings separated by pillars to illuminate the interior. At present that market is an exhibition space and consequently it is possible to visit it out and inside. 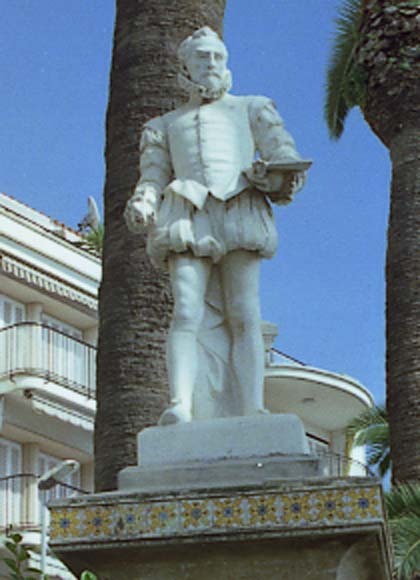 Statue of the sculptor Josep Reynés made in 1906 to pay tribute to Bartomeu Robert who was a very honest politician at the end of XIX century. The monument is on Town Hall square into a small garden between Town Hall itself and a church. The statue is a good example of the work of Reynés very much interested in the realism of its artworks. 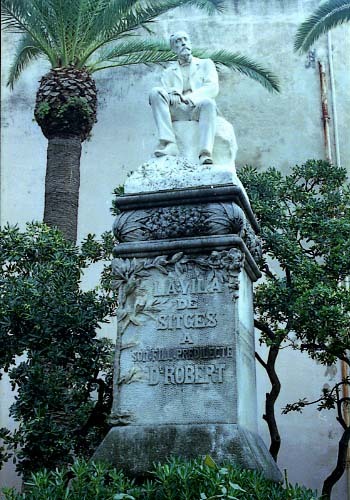 The sculptor Josep Reynés was commissioned by the town of Sitges in 1897 to build that monument to Domenikos Theotocopoulos named El Greco. 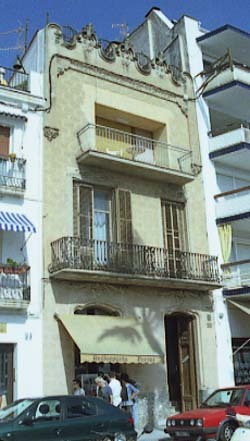 The origin of such idea to bring that homage to an artist unknown in Sitges at that time, was due to the proposition of Santiago Rusiñol, an Art Nouveau painter and writer living frequently in Sitges in his house of El Cau Ferrat where he had been organized Festes Modernistes (Art Nouveau festivals) and attracted by the art of El Greco. Josep Reynés an Art Nouveau sculptor has another sculpture in Sitges, the Monument to Doctor Robert and various artworks in Catalonia like a part of the sculptures of Arc de Triomf (Triumph Arch) in Barcelona. 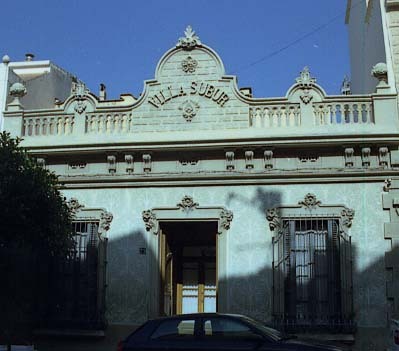 Building designed by the architect Salvador Vinyals i Sabater, finished in 1901. The tribune on first floor without no particular interest, substituted the initial one who was Built in a typical Art Nouveau style. Other light decorative elements are around windows on second floor and on top balustrade. 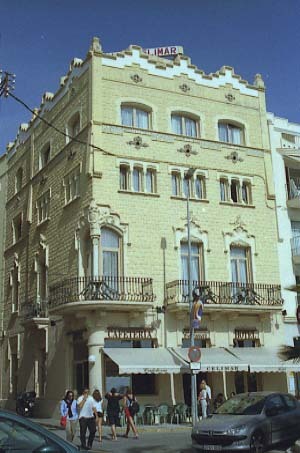 Builded by the “mestre d’obres” (Building master – a Catalan title previous to the architect one-) Gaietà Miret i Raventós in 1908. That beautiful house is in front of sea. 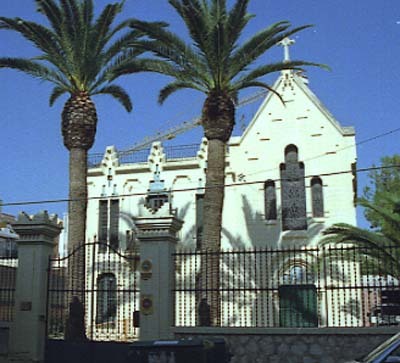 The idea of Gaietà Miret was to emphasize the corner linking the two facades with a balcony in forged iron following the angle between the two façades. The opening to that balcony has a central flat column replacing the original helicoidally one. The ground floor has been altered from it’s first design, and the initial structure with the ground plus two floors, suffered the addition of a third floor designed by J.M. Martino following the same Art Nouveau style. 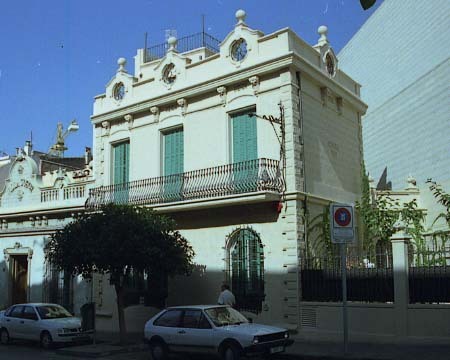 House designed by the architect Gaietà Miret i Raventós, Built in 1908. Instead of its simplicity, that house has some interesting Art Nouveau elements: the design of openings on ground floor, the balcony on first floor with its interesting balustrade in cast forged iron, and the top with a typical Art Nouveau very rich design. Unfortunately on second floor, an original four openings gallery, was substituted by the present square opening with a balcony without interest. House designed by the architect Enric Sagnier i Villavecchia and Built in 1899. That magnificent small house, unfortunately not very good maintained, reflexes the style of one of leading Art Nouveau architects. The variety of neo-gothic shapes, with different designs of openings at each level of building is a demonstration of Sagnier mastering developed in a small space. Ground floor show lobed arches for door and window. First floor with also two openings with lintels and jambs is completed with a beautiful balcony sustained by a decorated corbel and with an undulated balustrade in cast forged iron. The second floor is completely different with a gallery of five gothic arches crowned by a roof of Arabic tiles and upper a balustrade imitating embattlements. 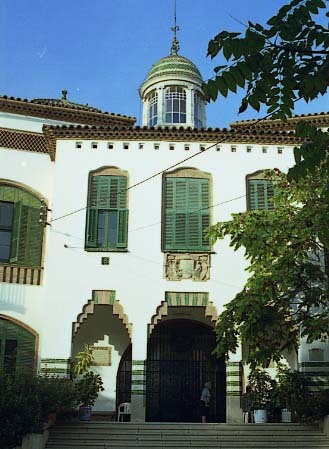 House projected by the architect Jaume Sunyé i Juncosa in 1878, and property firstly of Josep Miravent i Gatell a painter who took part in 1892 in the Primera Festa Modernista (First Art Nouveau fine arts exhibition). That is a single family house with three levels. The decoration has an Arabic taste. The visit is only possible from outside. Project of architect Josep Font i Gumà Built between 1910 and 1912. The main part of building is formed by three different sections. The architect was very interested to bring to the ensemble a variety of shapes to avoid an uniform aspect. For this reason the openings are designed in different ways using various types of arches normally in brick. The central section is crowned by a dome. Lateral sections are composed by the rooms. Into the hospital it is also an interesting chapel with an altarpiece of XVI century. Building attributed to Francesc Berenguer i Mestres disciple of Gaudí. Builded in a natural protected area to be used as animal yard. The building consist in three sections with façades in natural stone and brick around openings. 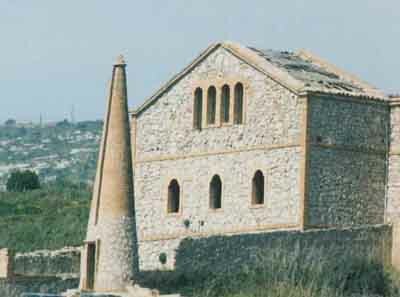 The most interesting element is the cover of the well, imitating a conic industrial chimney, built in stone on basement and brick.